Starting with spring cherry blossoms, autumn leaves and chrysanthemum figures exhibition, the park is a place of recreation and relaxation that is familiar to local people as well as many tourists throughout the four seasons. Although it is called "Kasumigajo Castle", the official name is "Nihonmatsu Castle" and it was built by Michiyasu Hatakeyama who was appointed the Oshu Tandai (local commissioner in Oshu) in the middle of the Muromachi period (around 1414). After coming under the control of Date, Gamo, Uesugi, Matsushita and Kato, Mitsushige Tanba was given control of the area and castle and granted 100,700 koku in 1643 and it continued to be the castle of the Tanba family until the Meiji Restoration. As a result of the Boshin war (1868 to 1869), the Tanba family was wiped out and was forced out of the castle (July 29, 1868) and there were many harrowing stories starting with the gallant battles of the Nihonmatsu boys' brigade. 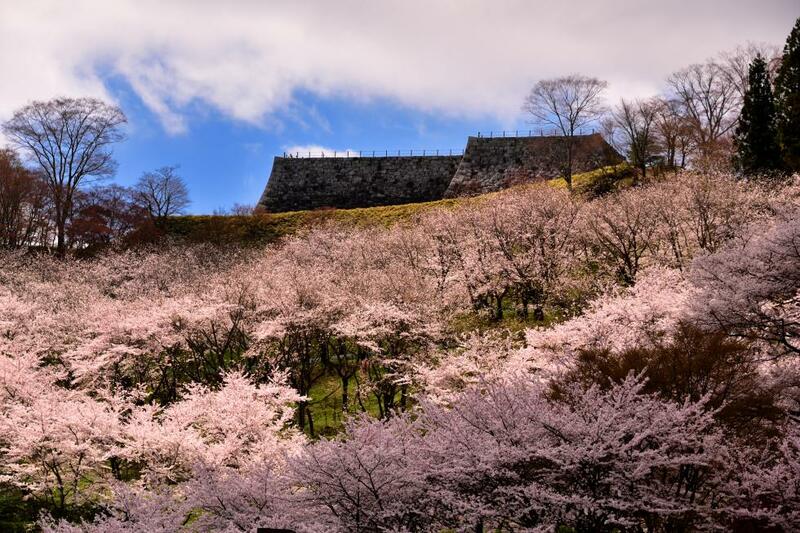 It was designated as the Fukushima prefectural natural park "Kasumigajo Castle Park" in 1948 and "Nihonmatsu Castle" was designated as a national historic site in 2007. Also in the park is the "Historical Monument of the Former Nihonmatsu Clan" designated as a national historic site in 1935.